Kathy Carlisile (friend/co-worker of Maeve), new member inductee Robert Bishop and his fiance Linda Redman. Words of wisdom from President Holt came from Rotary in the year 1927. Rotary can and should be used as a source of friendship as the basis for enterprise. The "average" Rotarian was mentioned but not defined. President Holt discussed the District 5500 challenge to come up with a grant proposal by Saturday that targets youth literacy. The tentative plan is a children's book delivery tied to the existing Marana Diaper Bank program. This would be an ideal way to put books into the hands of young mothers ergo young potential readers at the earliest age possible. More on this topic to follow. Maeve mention a Burma Shave advertising program related to our Tour de Tucson aid station. She asked for slogan entries, but sounds like she already has a winner. Our Food Bank packing and distribution assistance at the Ortiz Clinic in Picture Rocks is tomorrow. As a reminder this takes place on the 2nd Wednesday of each month from about 9:30 til noon. Numerous club members have participated. Contact Randy or Mary to assist. We have confirmation of the scheduled arrival of our exchange student from Nigeria. Please consider welcoming Maribel July 21st at 6:30 pm at the Tucson Airport. All members are encouraged to be part of the welcoming committee. Next President Holt swore in Rotary's newest member, Bob Bishop. His sponsor and mentor Don Jorgensen did the pinning. Bob's classification is Aircraft Research and Development. 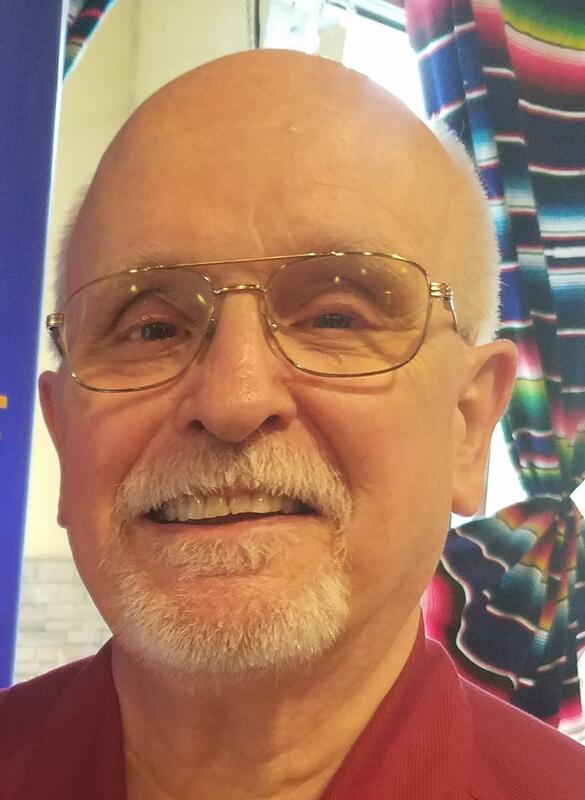 Bob recently returned from Russia, a trip he almost did not make as a result of a head-on collision on the way to the airport. 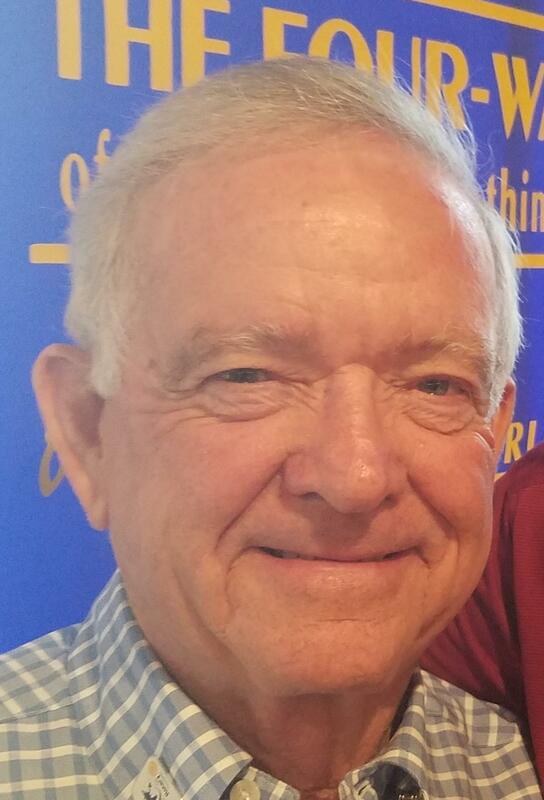 Bob is a former Rotarian, but not to be confused with Bob Bishop, The Rotary Club of Marana's first president. Mike and Vickie Suba representing Rotary's District 5500 Paul Harris Society took center stage to award both Don Jorgensen and Jo Holt as our clubs newest Paul Harris Society members. Our club now has six members who have pledged a $1,000 each year to the Rotary Foundation. Midway in giving ourselves a pat on the back for having over 25% of membership in the Paul Harris Society our District Governor reminded us we can do better! 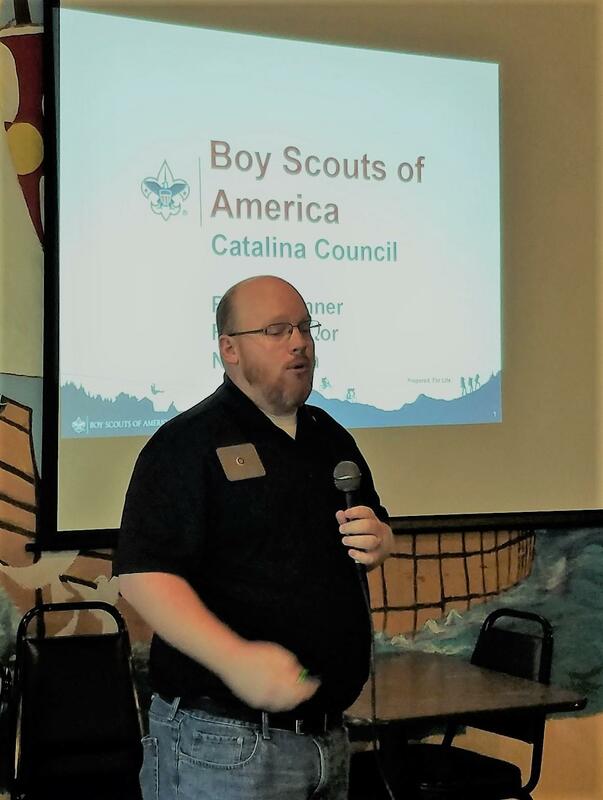 Richie Benner, club member and District Field Director of our local BSA council was guest speaker. We learned there are 7,000 scouts in the local Council hat covers Pima, Pinal, Santa Cruz and Cochise counties. Programs are available from K through 12. The Lions are comprised mostly of kindergarten kids, Cubs are anywhere from k through 5th grade. Boy Scouts ages 11 to 18. Co-ed programs are Venturing (kayaking, canoeing, mountain climbing etc. ), Explorer (vocational exploration with numerous police and fire departments as well as Customs, Border Patrol and US Army)and the newest STEM. The Tucson Council was founded in 1911 just one year after BSA was established in 1910. We ran out of time before Richie could discuss the newest Facebook enhancements, but he promised to return in three weeks. Numerous happy bucks were given for such varied causes as Foster Child adoption (Clint), rain (John), definition of "borrow"(Dan), Attendance of the DG Hentges and new member admission Bishop(Randy and others). This was an action packed meeting with Bob Bishop drawing the losing Jack of Clubs and President Holt still tingling from the nearby lightning strike she experienced last night. Its going to be a wild year if this meeting is any indication. If I have left off something or someone, please jot me a note on the back of a twenty dollar bill and give to me at our next meeting. Humbly and hopefully accurately submitted, John Dooling-Club Secretary.